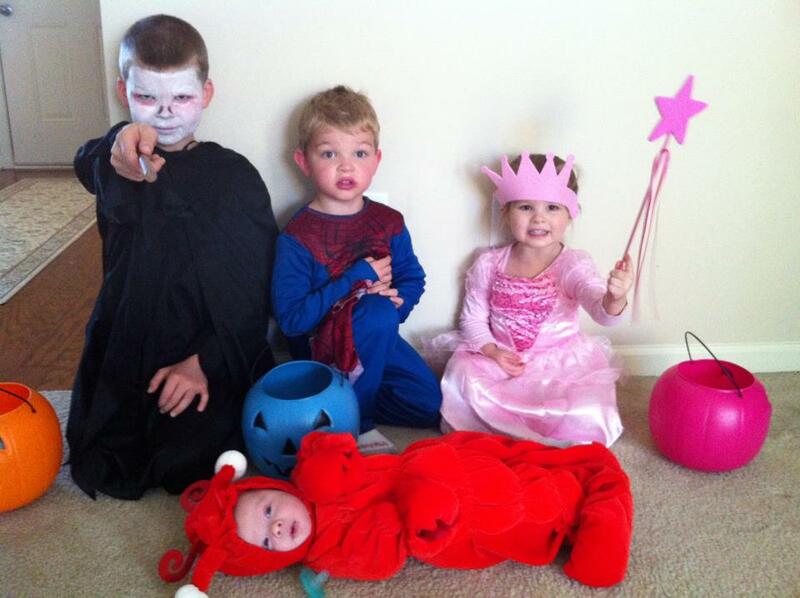 I hope that everyone had a happy and safe Halloween! 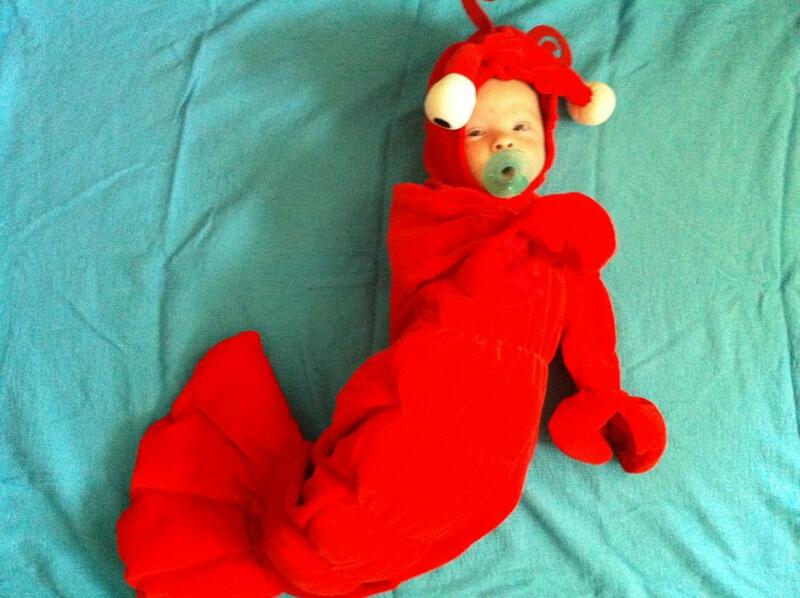 We had another fun year and it was Liam's first Halloween, so he was able to continue our family tradition of wearing the infant lobster costume. Usually the lobster costume brings on the baby screams, but Liam had shots that day, so I think he was just happy to stay warm and wrapped up. Poor little guy never made a single discontented peep. This year, aside from Liam the Lobster, we had Cameron as Lord Voldemort, Kai was vampire Spiderman, and Scarlett was... of course... a princess. 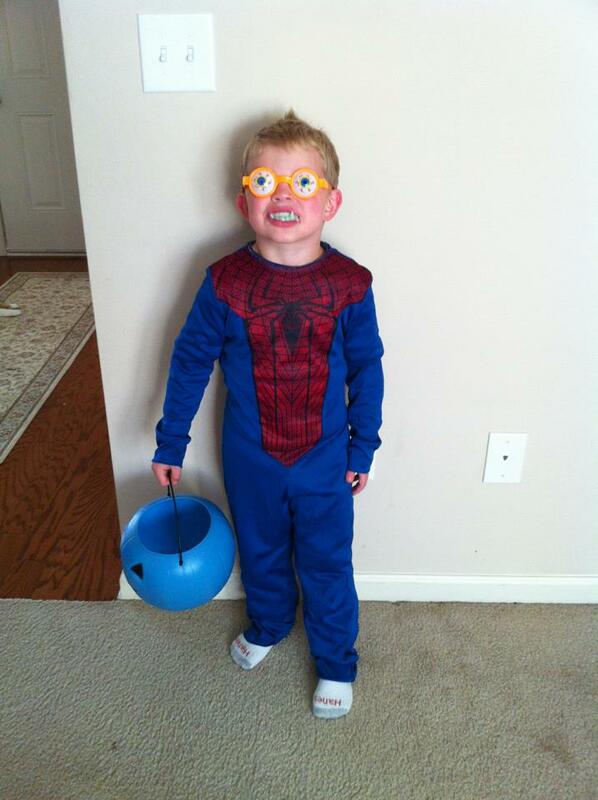 And here is Kai in all of his decked out "vampire Spiderman" glory. Yes, we actually trick-or-treated this way, which brought on a lot of weird looks and people cracking up. 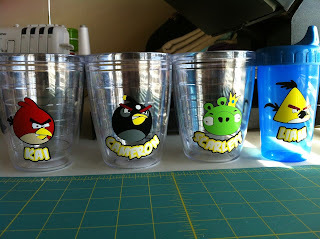 While the boys were at school, I used my Silhouette to make the Angry Bird cups that I've been wanting to make for the kids. Unfortunately, I didn't have the right color orange for the yellow bird, so I had to wait on that, but here's how they turned out.